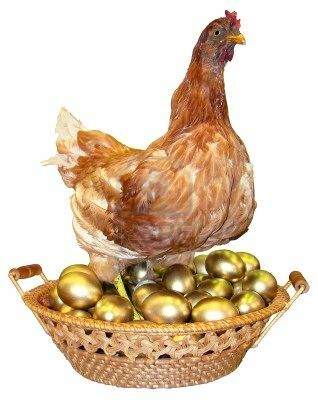 Well, actually the eggs are not exactly gold facts as stated in the story, is rather that chickens and other birds may actually have gold in them, specifically within a particular organ: the gizzard. Birds need to eat minerals and stones and bits of shiny stones attract them more. This helps them to have a good digestion. So not a bad idea to have a few chickens on the banks of a river where there is alluvial gold and make them eat sand for several days. Then we would have meat to eat chicken and also with a surprise inside them: gold pieces in their gizzards. Let’s see what we found, this is the part I. First an introduction to how everything works in the digestion of birds, especially as the gizzard acts as the birds prefer shiny objects or minerals. 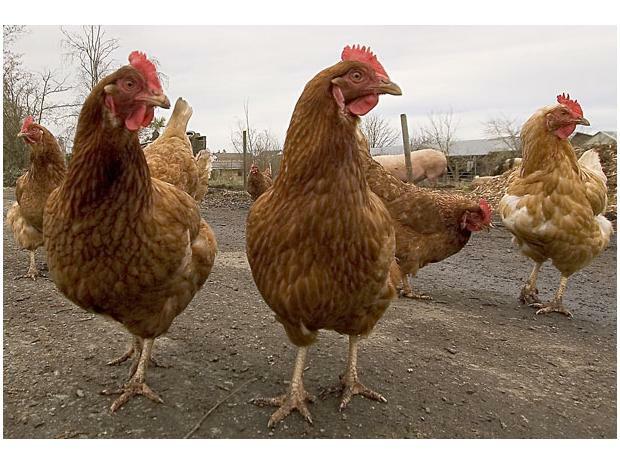 For birds that have a crop, food passes to the crop to soften or to just be stored temporarily. From there food goes to the stomachs. Owls do not have crops, all other raptors do. Food is stored in the crop on the way down, but not on the way up. Birds have two stomachs (in this order): A glandular stomach (the proventriculus) which digests food chemically. A muscular stomach or gizzard (the ventriculus) that grinds food with the aid or grit. In many carnivorous species – hawks, for example, their glandular stomach is so highly acidic, it dissolves bones. The bearded vulture of Europe and China is said to have a stomach so acidic it can dissolve the whole of a cow’s vertebra in one or two days. Pellets are formed in the gizzard. A given bird’s pellet will be the size and shape of their gizzard. The gizzard of birds serves the same function as the teeth and strong jaws of mammals. The gizzard is most developed in birds that eat plant parts. Birds intentionally ingest grit to be kept in their gizzard to help grind food. They can prevent this grit from passing through the digestive system with the food, and remain in the gizzard. Birds prefer brightly colored grit. Such examples of grit found in birds include: quartz, granite, ruby, gold, fruit pits, coal, ground oyster shells, black lava, and lead shot form shotguns (this of course causes lead poisoning, which we do see a lot of at Willowbrook). Many other birds cough-up pellets, especially those which feed much on insects. Examples include: gulls, terns, herons, swifts, goatsuckers, grouse, grebes, cormorants, rails, crows, jays, starling, raven, thrushes, snipe, sandpiper, killdeer, warblers, and many other songbirds. approximately 9-16 to cast a pellet. After the liquid digestible food (chyme) exits the gizzard, it enters the small intestine where absorption takes place. Next, it enters the large intestine where water is extracted, and lastly all waste (both liquid and solid) exits simultaneously through the cloaca.